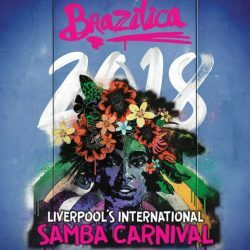 Preview by Charlotte Kenny of Brazilica Festival 2018 which takes place on Friday 13th and Saturday 14th July with a carnival, live bands at the Pier Head, a Brazilian Film Festival and much more. 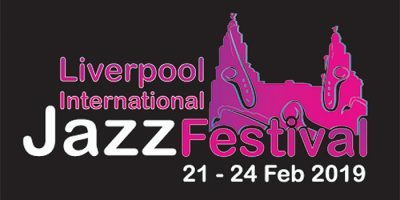 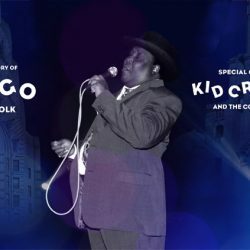 Liverpool charity Genie In The Gutter teams up with Kid Creole and the Coconuts for ambitious fundraising production of One Man’s Story, the transatlantic tale and touching true love story of “Bongo” Eddie Folk. 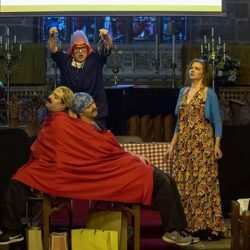 Coming in April for one night only professional opera company Flat Pack Music bring Mozart’s comic opera ‘Cosi Fan Tutte’ to The Casa. 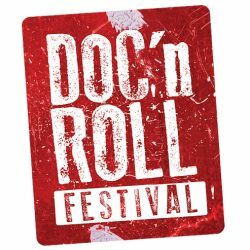 The UK’s Music Documentary Festival returns in 2018 for its third Liverpool edition with an extended programme of eight premiere films running from 28th March to 1st April. 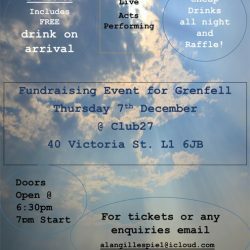 LJMU Criminology students have organised a fundraising gig on Thursday 7th December to help the families affected by the fire at Grenfell Tower. 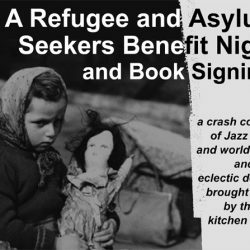 Migrant artists Mutual Aid present a refugee and asylum seekers benefit night and book signing, on Friday 8th December featuring a crash collision of Jazz poetry, world music, and other eclectic delights. 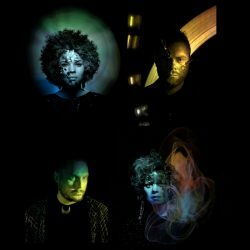 Brighton based multi-instrumentalists Moulettes come to the Liverpool Philharmonic Hall Music Room on Sunday 3rd December. 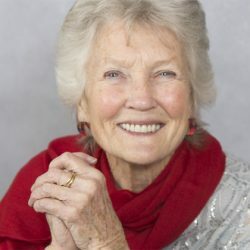 Singer songwriter Peggy Seeger is coming to the Philharmonic Hall Music Room on Tuesday 28th November promoting the publication of her memoirs and accompanying CD. 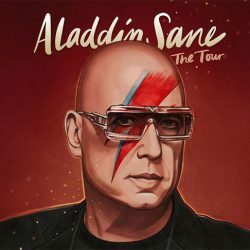 Mike Garson will be playing David Bowie’s Aladdin Sane album in full, with very special guest Steve Harley at Liverpool 02 Academy on Thursday 30 November. 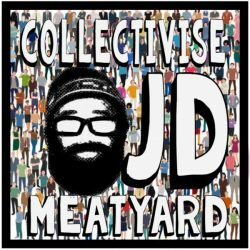 JD Meatyard brings his brilliantly scratchy, straight talking politico-personal musical prose to Liverpool this Saturday 29th July. 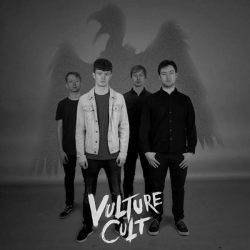 Rob Lewis interviews Andy Hinton, vocalist and rhythm guitarist from local band Vulture Cult and finds out what makes them tick. 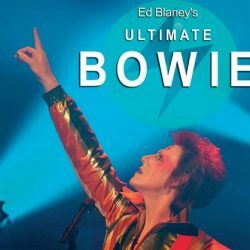 Ed Blaney’s Ultimate Bowie show comes to the Epstein Theatre on May 20th with a two-hour show of Bowie classics. 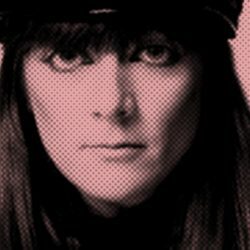 Recording of Cosey Fanni Tutti talking about her controversial and creative life as an artist and musician at the Writing on the Wall event. 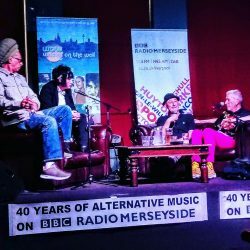 Recording of the Punk Survivors event held on Fri 12th May with Steve Ignorant, co-founder of anarcho-punk band Crass, Don Letts, dub-pioneer and video-chronicler of The Clash and Pauline Murray, the lead singer with punk band Penetration. 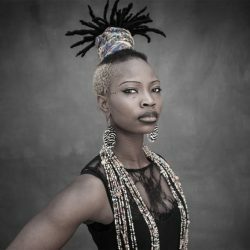 Africa Oyé celebrate their 25th Anniversary Festival with a special line-up this year over the weekend of 17th and 18th June in Sefton Park. 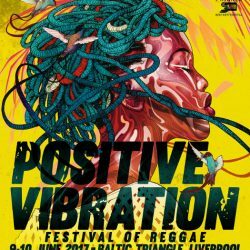 Liverpool’s celebration of reggae music and Jamaican heritage, Positive Vibration, returns in June for a jam-packed weekend, headlining will be legendary 2-Tone band The Selecter and King of the sound system, Jah Shaka. 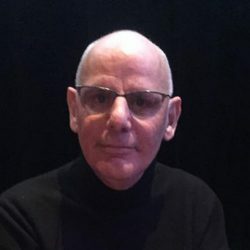 Recording of the talk by Geoff Travis of Rough Trade Records about being inspired to open his shop after a trip to San Francisco’s City Lights book store. 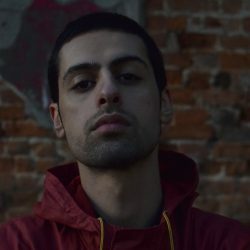 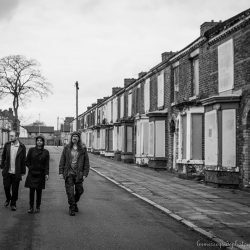 The Black Entrails, who came together through the Liverpool improvisation scene, put the poems of Emily Dickinson to music and are playing Light Night on 19th May. 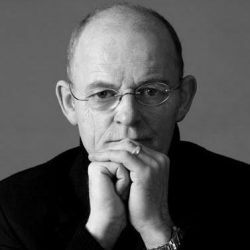 Rob Harrison interviews Woody Woodmansey, the last remaining member of David Bowie’s backing band, The Spiders From Mars.